Regular readers, if such there be, of this blog will know that one the recurring themes is my interest in theories and formalisms for the information sciences, particularly those derived from other disciplines. Formal logic, stemming from philosophy is one of these, and a recent book by Martin Frické gives a new slant on the topic. This is an amended version of a review of the book written for Journal of Documentation. Books on the organization of information and knowledge, aimed at a library/information audience, tend to fall into two clear categories. Most are practical and pragmatic, explaining the ‘how’ as much or more than the ‘why’. Some are theoretical, in part or in whole, showing how the practice of classification, indexing, resource description and the like relates to philosophy, logic, and other foundational bases; Langridge’s Classification: its kinds, systems, elements, and applications and Svenonious’ Intellectual foundation of information organization are well-known examples this latter kind. To this category certainly belongs this new offering from Martin Frické of the University of Arizona. The author takes the reader for an extended tour through a variety of aspects of information organization, including classification and taxonomy, alphabetical vocabularies and indexing, cataloguing and FRBR, and aspects of the semantic web. The emphasis throughout is on showing how practice is, or should be, underpinned by formal structures; there is a particular emphasis on first order predicate calculus. The advantages of a greater, and more explicit, use of symbolic logic is a recurring theme of the book. There is a particularly commendable historical dimension, often omitted in texts on this subject. It cannot be said that this book is entirely an easy read, although it is well-written with a helpful index, and its arguments are generally well-supported by clear and relevant examples. It is thorough and detailed, but thereby seems better geared to the needs of advanced students and researchers than to the practitioners who are suggested as a main market. For graduate students in library/information science and related disciplines, in particular, this will be a valuable resource. I would place it alongside Svenonious’ book as the best insight into the theoretical ‘why’ of information organization. It has evoked a good deal of interest, including a set of essay commentaries in Journal of Information Science. 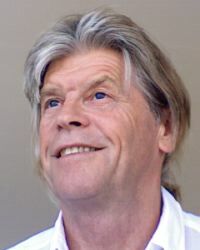 Introducing these, Alan Gilchrist rightly says that Frické deserves a salute for making explicit the fundamental relationship between the ancient discipline of logic and modern information organization. If information science is to continue to develop, and make a contribution to the organization of the information environments of the future, then this book sets the groundwork for the kind of studies which will be needed.